Summary (from the back of the book): This is the story of two women. Their lives collide one fateful day, and one of htem has to make a terrible choice, the kind of choice we hope you never have to face. Two years later, they meet again--their story starts here.... Once you have read it, you'll want to tell your friends about it. When you do, please don't tell them what happens. The magic is in how the story unfolds. Review: Wow. How to review this book and still follow the directive on the back of the book.... This is going to be tough. I read this book for my MUS Moms book group and boy am I glad that we picked it! We are a group that likes to read books based in countries outside the US (check), that deal with interesting issues (check), and that can stir up a discussion (check). I think it will be easier to do this review as a series of short statements so that I am not tempted to give too much away. Characters--one woman is British and in her early 30s while the other is a 16-year-old Nigerian. There are a few periphery characters as well but their purpose really is to reveal the story of these two women. From the beginning I was pulled into their story and I liked the way the chapters alternated points of view between the two women. Cleave has done a great job of giving each woman her own voice through accent, word choice, and attitude. Setting--I liked that this took place in both Nigeria and Britain (more on that below in my new feature). The descriptions weren't flowery and gave the reader just enough information to form an image of where the characters were for each "scene"
Plot--O.M.G. This is the part I can't expound upon. I know that seems crazy, but if you know anything about the plot it will ruin the book when you read it. Just know that it follows the relationship between these two women as their lives collide at two separate times. Every decision each woman makes determines the direction both lives take. 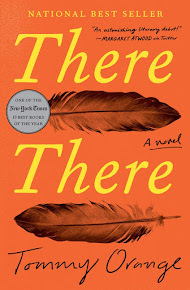 I am participating in the Where Are you Reading challenge hosted by Sheila at Book Journey so I am posting this to my Google Map. In addition, I liked Rebecca of I'm Lost in Books' idea of listing books related to a country or people each week. So, I've decided to add a little paragraph to each review that I am calling the Geography Connection. And, who am I kidding? I love maps and geography and travel so this fits right in with who I am! 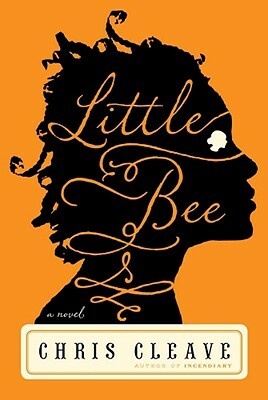 Little Bee takes place in both Great Britain (in and around London) and in Nigeria. 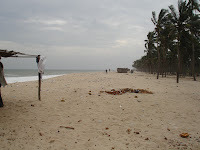 Honestly, when I think of Nigeria I think of blood diamonds, oil, and an African nation that is doing better than most. 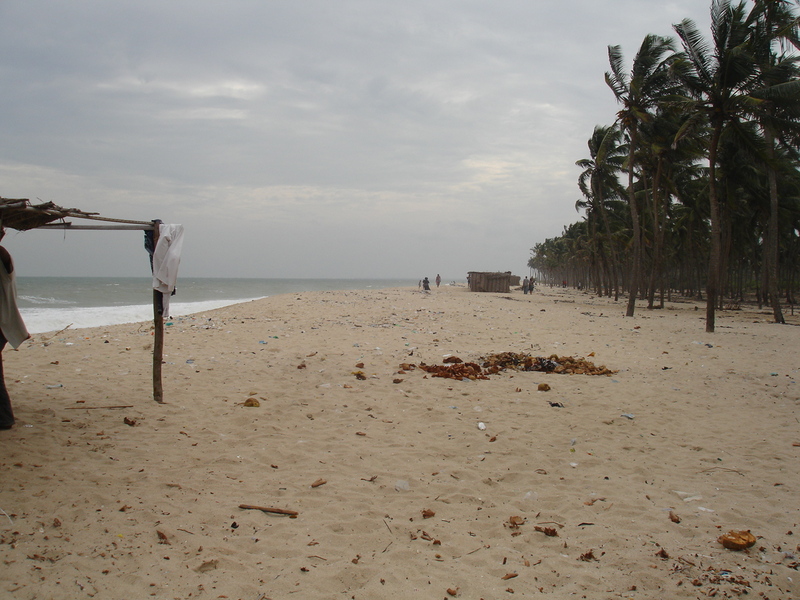 I had no idea they had beautiful beaches like the one below; there were many more beautiful photos of Nigerian beaches, but this one seemed to fit the description of the one in the book (beach with jungle). 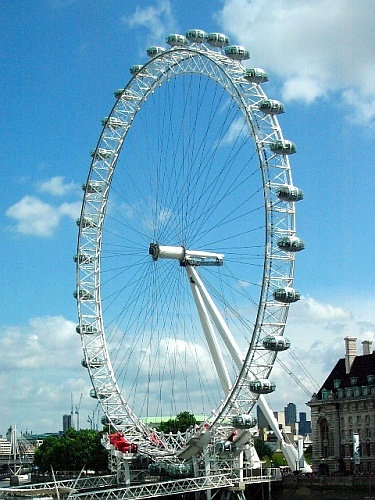 And the London Eye is one of the only well-known London feature mentioned in the book. Thanks for the review - this has been on my TBR pile for a while. Loved your review and made me remember how much I liked this book. Well Done Helen! I like your idea of a "geography connection" within book reviews. I'm also a map person, which is probably why I started Book Around the World and Book Around the States. Ammy Belle--Oh, definitely pull it off the TBR pile and read it soon! Diane--I'm glad you think my review did it justice, thank you! I bought this one awhile back and am excited to read it. I can only imagine how difficult it would be to review this one given the publisher's blurb. Lola--One of the things I really liked about the book was that I had no idea what was coming so I thought it was really important to keep that in mind when I wrote the review. Alyce--Thank you for supporting the Geography Connection idea! I wasn't as blown away by this one, but I did enjoy it. I thought it was a solid read but other than that, I didn't get much out of it. I'm glad you loved it though! Amanda--I think I read this book at just the right time for me to get the most out of it. Having just started up the non-profit Turn the Page Uganda I've got all-things Africa on my brain. Also, a young man from the slums of Kampala just arrived a couple days ago to live with my friend so I am seeing the US through his eyes. Bonnie--Thanks for posting my review to your perpetual challenge! Hello! I was led to your review through the PoC Reading Challenge (our blog is also participating). I love how cryptic your descriptions of the characters and the plot are - I suppose one of my weaknesses when I write reviews is that I reveal too much (or sometimes too little). I am drawn to the notion of two women from different worlds whose lives intersect in some mysterious thread that can only be revealed by reading the book. My curiosity is piqued. Hope to read this book soon. And I love your Geography connection!!! I really enjoyed Little Bee, obviously. Thank you for the positive input on Geography Connection!